At Dream Keepers we find that dreams to succeed in life are usually compromised by a lack of resources and support, finances and stability, education and training and inspiration and encouragement. This is further supported by the following statistics. 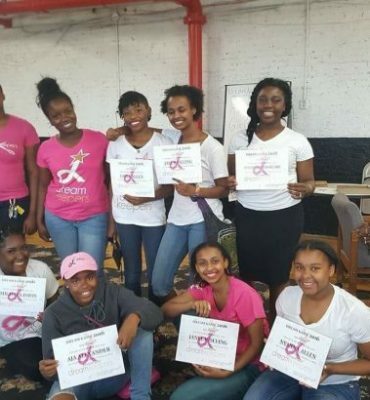 Dream Keepers brought three, one-week sessions to over 50 girls, ages 13-18, for lessons on self-esteem, life skills, job readiness, health and beauty. The girls still receive mentoring from Dream Keepers staff. Dream Girls program has served x girls over the past x years, inspiring their positivity, happiness and inner beauty. 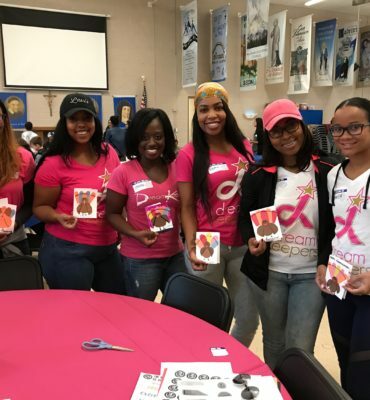 Dream Girls volunteered their time and service to help eliminate poverty and hunger with the community during the Holiday season. Dream Keepers raffled over $2,000 in marketing services to women in business. There are over 12 winners who walked away with a prize to use for their business marketing needs. An Invite-Only event designed to give men and women business professionals the opportunity to move beyond networking to building solid, sustaining business relationships and resources. A brunch event that provided a professional forum for like-minded women to openly and whole-heartedly talk about following their dreams. Our professional panelists shared their stories, successes and what it takes to start, brand and/or expand their business. Attendees joined us for an afternoon of action planning. After a discussion on the importance of setting goals that are realistic and attainable, attendees were provided with materials to create their very own action board. What People are saying about Dream Keepers? Dreamkeepers are a phenomenal organization that uplift women! I am truly blessed to have been acknowledged by them and am here to help and be apart of the movement! They are not all about show and self gain...they are a movement to help others! Absolutely LOVE the vision! Dream keepers is a phenomenal organizations.... They help to build,educate,promote and inspire the dreams of all women.... I love their transparency and true dedication to leave an impact on today's generation.... They are truly setting the bare for excellence unification....You guys are Amazing!!!! Dream keepers has an amazing staff who are dedicated to see change. They host events that are positive but still appealing to our youth and are supportive of other entrepreneurs. 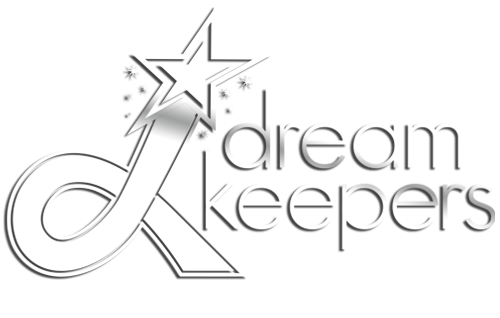 DreamKeepers is an innovative organization that helps others thrive and succeed into successful individuals. Dreamkeepers provides a platform for our youth and business minded people to grow and expand there network. Join the movement! Be apart of DreamKeepers! Dream keepers is so awesome. This is an organization that cares about the youth and their future. I've been honored to be part of their events and I can honestly say it's truly amazing. DreamKeeper is a great Organization the President of DreamKeepers let me speak in front of 16 girls and they allow me to educate the girls on banking . It was a wonderful experience. Dream keepers is a awesome organization. They help empower and uplift women to follow there dreams. Keep up the great work and God bless you all for the great things you are doing ! !